At Belle Vue Primary School, we use Orian to provide our school meals service. Cooked meals, including a vegetarian option, are prepared daily in our kitchen and children are offered a choice of main courses and desserts. Salads and fruit are always available. Meals are eaten in our two dining halls. The daily cost of a meal is £2 .10. As of 1st April 2019 this will increase to £2.15 to take into account changes in legislation, National Living Wage and food inflation factors. 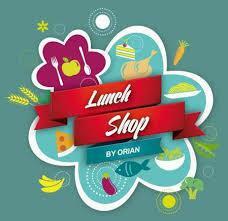 Meals should be pre-ordered and paid for in advance, by Thursday lunchtimes for the following week using the Orian Lunch Shop website. If you do not have access to the internet at home, please see the school office who will be very happy to help. Alternatively, children may bring a packed lunch which are also eaten in the dining halls. Packed lunches should be in a sealed, named container. No fizzy drinks or sweets please - we encourage lots of water, fruit and vegetables instead! From September 2014 all primary school pupils in reception class, year 1 and year 2 are eligible to receive a school meal free of charge. Child Tax Credit, provided entitlement is not due to Working Tax Credit, and an annual Income, (as assessed by HM Revenue & Customs), that does not exceed £16,190. Note: From 1 May 2009 where a parent is entitled to Working Tax Credit during the four-week period immediately after their employment ceases, or after they start to work less than 16 hours per week, their children are entitled to free school lunches, this may be extended. Children who receive Income Support or Income Bases Job Seekers Allowance in their own right are also entitled to receive Free School Meals and Clothing Grants. Further information may be obtained from the Children’s Services Office Tel: 01946 506200. Please do not hesitate to contact any of the school administrators should you need further assistance.